The classic adventure novel by Alexandre Dumas has now been adapted to an RPG by indie developer Dingo Games. 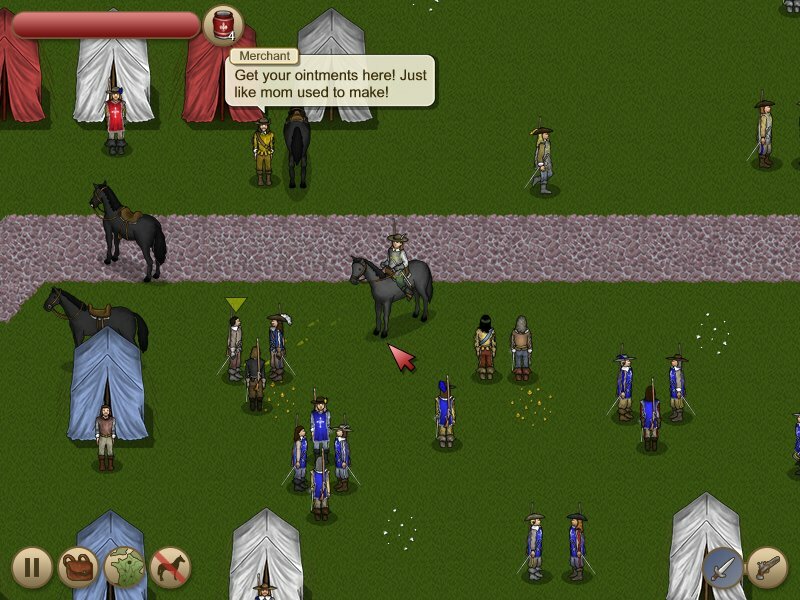 Now YOU get to play as young D'Artagnon, befriending Porthos, Athos, and Aramis and engaging in a number of adventures following the sequence of the novel (and countless movies) through 17th century France. 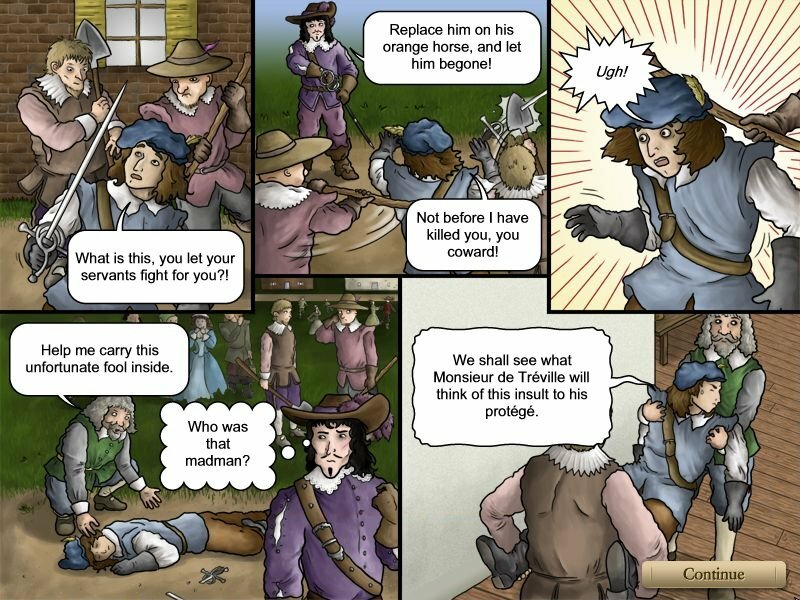 When the evil Cardinal Richelieu launches a plot to disgrace the queen, you'll have to use your wits and skills with the sword to defend her honor. You'll journey from Paris to London and back to retrieve her 12 diamond studs in time for the royal ball. The cardinal has eyes and ears everywhere. He will not make this journey an easy one for you. In The Three Musketeers, you may also find yourself engaging in tennis matches, card and dice matches, riding on horseback, and other activities of the day. Oh, and of course, jumping into swashbucking battles with blade and pistol. And even cannon! And enjoying a rich plot adapted from one of the world's most beloved classic adventure stories! 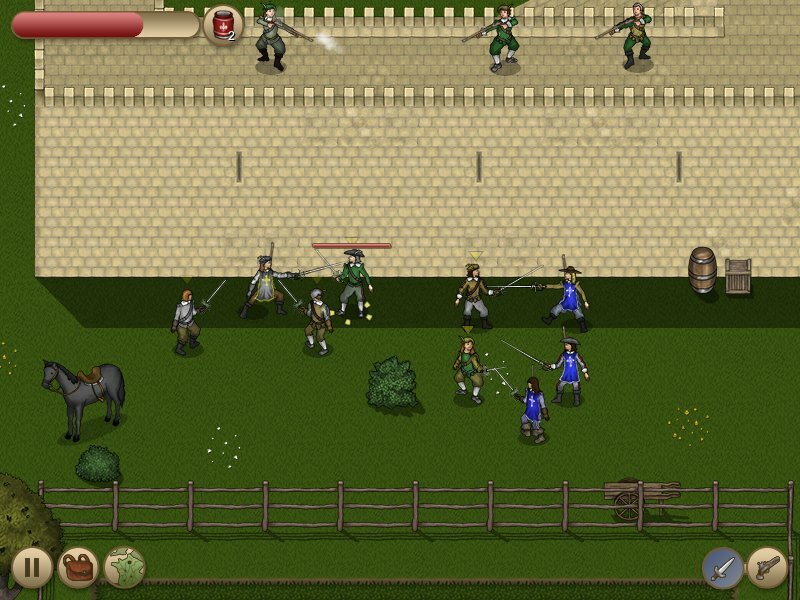 The Three Musketeers is available for both Windows and Mac. You can download the Mac version here, or purchase the Mac Version directly via this link. The chance to become a Musketeer! System Requirements: Windows 98, ME, 2000, XP, Vista, or Windows 7.